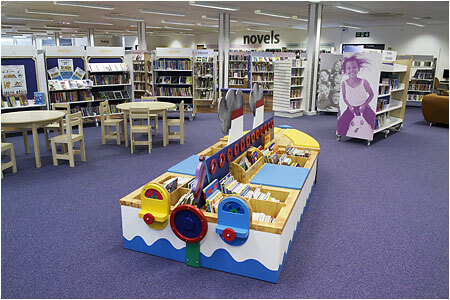 The ship feature in the children's area - Bookahoy! The original building (1969) was extended and re-furbished by Bowmer & Kirkland, who also built a new Sainsbury store opposite the library. 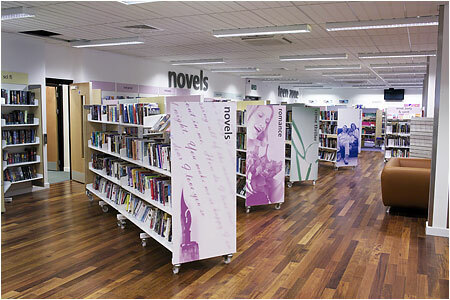 Shelving is white metal Futura, supplied by Remploy. 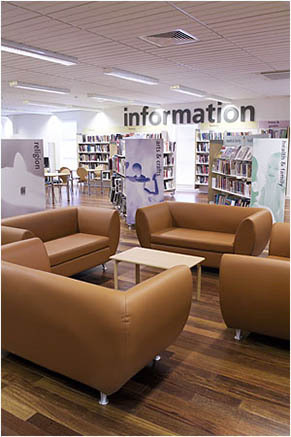 Signange and guiding was designed by Southampton City Council Print unit, but produced via Remploy, who also provided other furniture, carpets, the counter, browsers, AV listening posts etc. 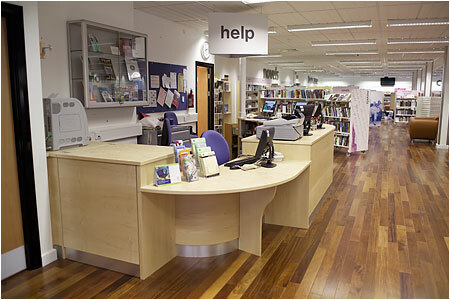 All guiding above shelving and on bay ends is easliy movable - much is magnetically attched. Shelving is all on wheels, so can be moved. Design was mainly in-house with a lot of contributionfrom staff at all levels. Guiding and signage important features. 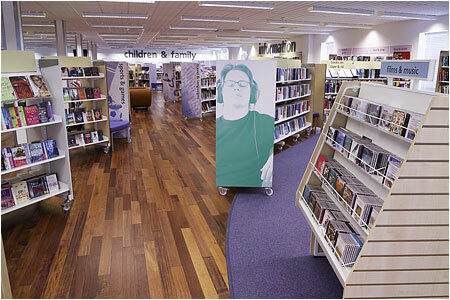 Bookshop -type arrangement of non-fiction using in-house chosen categories.